We've long since championed Manchester’s The Slow Readers Club. Listen to their new album Cavalcade, released today, and you’ll understand why. The Slow Readers Club epitomise everything we love about music - storming live shows, classic singles, thought provoking lyrics, guitar hooks, a commitment to their art, and so much more too. On top of that, they do it on their own terms. Cavalcade, their second long player, lives up to all expectations. Start Again is an apt opening track. One of our singles of 2014, and regularly featuring on the radio, it has a pulsating synth complimenting Kurtis Starkie's subtle guitar riffs. Start Again is typical of Starkie’s style of playing. He never hammers home a riff. Instead, there is always a sensitive, skilful, intelligent approach, demonstrated beautifully on Start Again. Already a live favourite, Start Again is a perfect opener. New single I Saw A Ghost cuts to the chase with Aaron Starkie immediately delivering a powerful vocal. It is as radio friendly as anything in their back catalogue and has an infectious chorus too. Some of the songs on Cavalcade have been in the live set for a year or so now (indeed Fool For Your Philosophy and Grace of God have been around even longer). Forever In Your Debt was debuted late in 2013 and has been a firm live favourite ever since. Jim Ryan’s bass dominates. Despite the dark nature of the lyrics, Forever In Your Debt is an upbeat triumph of a song. For me, it has always had a bit of a northern soul groove. Plant The Seed is influenced by Vince Clark era Depeche Mode, which is no bad thing. It showcases a lighter, poppier side to The Slow Readers Club. Aaron demonstrates his vocal range by singing falsetto on the verses before dueting with his brother on the earworm of a chorus. Four songs in and, in all honesty, Cavalcade sounds like a brilliant singles compilation. Days Like This Will Break Your Heart, the flipside of the Forever In Your Debt single demonstrates yet another side to the band. Opening with just vocals, synths, and another subtle guitar part, Days Like This Will Break Your Heart is a darker, brooding track, which keeps building and building when the rhythm section (David Whitworth on drums and the aforementioned Ryan on bass) kicks in. There's a haunting end to the song too. Don't Mind is a Smiths influenced, introspective ballad, which tells the story of the end of a relationship, in which Aaron Starkie pours his heart out. Don't Mind cements his reputation as one of Manchester's finest lyricists. 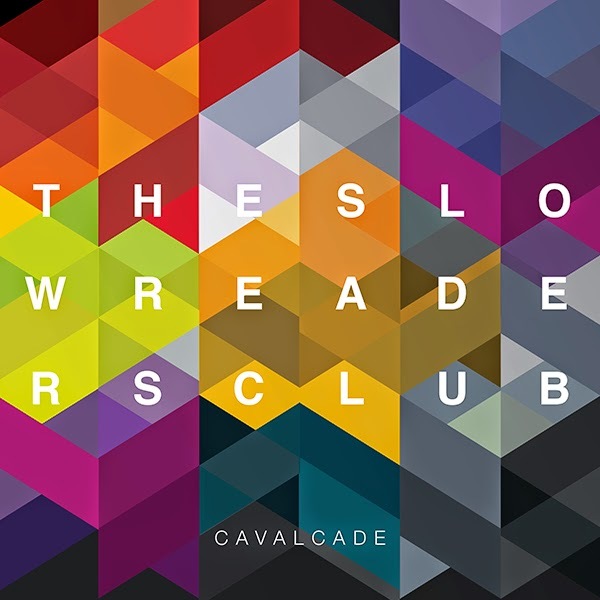 Title track Cavalcade has another big chorus and is yet another perfect pop song. The next two tracks Fool For Your Philosophy and Grace of God have been staples of the live set for some time. Both tracks are upbeat, synth driven tunes. It is easy to hear why they are live favourites, and yet again, both tracks sound like potential singles. The closing trio of Here In The Hollow, Secrets and Know The Day Will Come were the last songs to be written and recorded for the LP. Secrets sees Aaron play piano whilst David has an almost military precision to his drumming. Know The Day Will Come is a perfect end and for me, Starkie delivers his best vocal and lyrical performance on the album. Cavalcade is the long awaited second album from the band who formed out of the ashes of critically acclaimed Omerta. The self-titled debut was a fine collection of songs yet Cavalcade surpasses that. There’s no evidence at all of second album syndrome. The Slow Readers Club have high standards and they have delivered a stunning collection of songs. What is remarkable is that they have done so on their own, releasing this album independently without any label backing them. Their producer Phil Bulleyment has captured the magic we always hear at their gigs and he should be applauded. Cavalcade is a truly stunning record and I very much doubt I will hear a better one this year. The Slow Readers Club play a number of shows supporting the release of the album including Leeds Verve (17), Manchester Academy 3 (18) and Sheffield Rocking Chair (23).